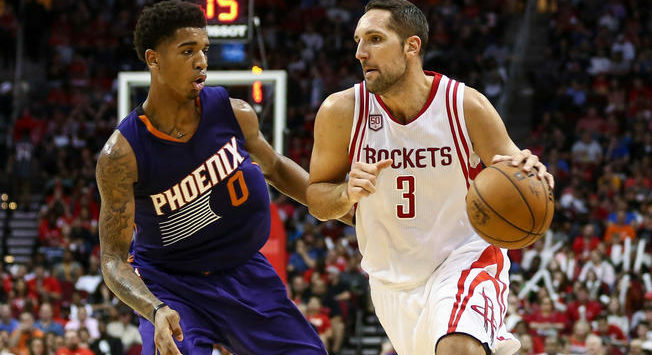 The persistence to trade Ryan Anderson has finally paid off. As the preseason approaches, the Houston Rockets have found a trade partner willing to take on the two-years, $41-million owed to the veteran stretch-four. Packaged up with rookie De’Anthony Melton, the Rockets have acquired Marquese Chriss and Brandon Knight from the Phoenix Suns. Knight, who missed last season due to a torn ACL is owed $30-million over the next two years. Meanwhile, Chriss, a one-time highly touted draft pick has failed to live up to expectations and will look towards rebuilding his stock on a deeper Rockets team. It has been an interesting summer for the Suns, who have added DeAndre Ayton and Michal Bridges through the draft, after which they signed forward Trevor Ariza in free agency. The addition of Anderson means, the Suns may have found their opening day starting power forward as the rebuild continues in the desert. Meanwhile, the Rockets look poised to make another run at the Warriors in the Western Conference.